This entry was posted on 11 February 2013 at 8:55 and is filed under learning management. You can subscribe via RSS 2.0 feed to this post's comments. hi Ryan, interesting food for thought! what I immediately thought though, was… but what would stop records being falsified, and how do we know that what’s ‘measured’ is an intelligent and fair appraisal of what someone knows and can do? the more evaluation is automated, the worse those eternal problems are more likely to be made – what you need is not machines, but people with experience and managerial competence overseeing operations on the job… what’s the worth of a manager who doesn’t know their staff and can’t judge from what they see and hear on the job whether staff are adequately informed and able? Quite right, Emily. Tin Can is a learning management technology. It does not control the *quality* of the assessment. 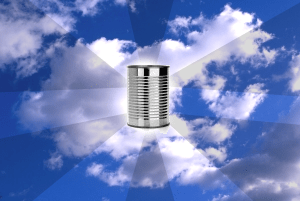 If Tin Can is used only for personal record-keeping purposes, then falsification is a fool’s game. However if it is used for more than that, such as for compliance or accreditation, then I agree that falsification would be a major concern. This is why I think the real power of the Tin Can concept rests with assessment. If the assessor were to update the learner’s record rather than the learner him/herself, then the tin can becomes more meaningful and hence more useful. I also agree that personal mentoring and peer review are important. I don’t for a moment suggest that we dispense with those and rely solely on machines to verify competence; I suppose my point is that the technology would become a valuable part of the process. Cheers, Steve. Please keep me posted on how it goes. Looking forward to you playing around a bit more with LearnDash…big things on the horizon, especially in regards to TinCan API! FYI the 1.0 version of Tin Can due out this Spring will contain a mechanism for strongly signing a statement to prevent falsification in high stakes environments. In other words, if you see a statement that says “Mike graduated from Harvard”, we will be able to verify that it was in fact Harvard asserting that statement and not Mike. One more time your words do not leave us indifferent. We are actually checking Tin Can Api, researching it and looking for best uses and solutions. @Mike – That’s excellent news, Mike. I think it will make a big difference. @danporras – Cheers Dan. I think Tin Can is well worth looking into. I enjoyed your ideas here, Ryan. I agree that we should track what’s been learned. And then we can use that information in lots of ways. Recruiting. Continued education. And best of all (I think), is that we’ll be able to recommend next-step learning opportunities on mastery-to-date. I recently designed software for US public charter schools that will use assessments to individualize their curricula recommendations. We’ll track all kinds of things with these assessments — not just mastery but preferences and interests, etc. And then we’ll carry out continued research to learn more about which factors are most predictive of success, so we can improve the software’s recommendation functionality. You may be interested in TinCan Curious by Sam Burrough. He is starting to look at Tin Can as “Google Analytics for learning”. I find this a fascinating idea that will keep me thinking. Ryan, I agree that learning technologies have a poor reputation in some quarters. This is mostly, I believe, due to a legacy of poor implementation and poor usage, and, as you point out, a lack of understanding of the extent to which learning technology can be used. Is Tin Can the solution? It may be part of it but I think a greater part is that learning and development technologists need to be imaginative in their use of systems they have. Although when that imagination results in something as chilling as the dystopian future you spell out – it could be quite scary! The US Government has been working on something similar to this for nearly a decade. You can see some of the details on http://www.golearn.gov/. Essentially, every agency is mandated to have an LMS to track course completion. Most of them also track competencies, KSAs, etc. but those aren’t mandated. The completion and optional data are all required to be fed to GoLearn from the host agency on a regular basis. The primary objective is to have a registry at the government level for reporting/tracking, and for Congressional data calls. But the side effect is that every Federal employee has a portable data record, so if they move from one agency to another, their course completions, certifications, KSAs, etc. follow. I was a consultant working on this project about 5 years ago. That sounds like an excellent idea, Daniel. In Australia, different government agencies still use different LMSs, while in some of the larger corporations different *divisions* use different LMSs. What a joke! Oh, agencies definitely used different LMSs, and even different divisions, just as you see in Australia. Each agency was required to build a single two-way data bridge to the GoLearn.gov data warehouse, and a data dictionary was created to define what the feed had to look like. So, it was more efficient if the agency were to use a single LMS for all of their divisions, otherwise they would have to build their own data warehouse to compile the data from multiple LMSs to feed to GoLearn. And, sadly, some did exactly that.